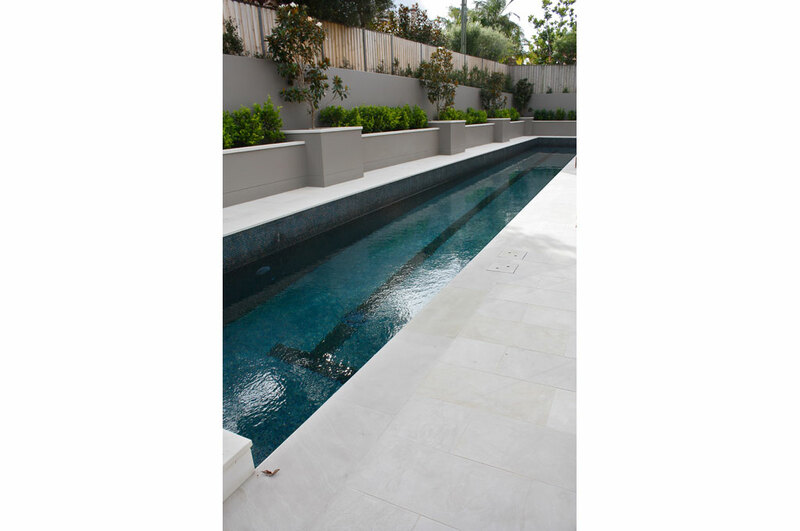 This 25-metre self-cleaning pool was purpose-built to Olympic standards and specifications for use by a competitive swimmer. 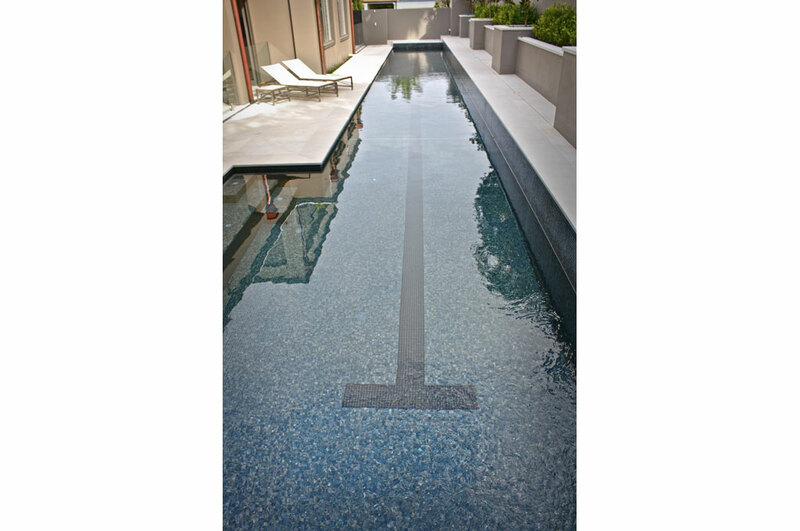 The pool includes a black-tiled line marker along the bottom of the pool and a shallow slope ranging from 1.2m to 1.5m in depth. 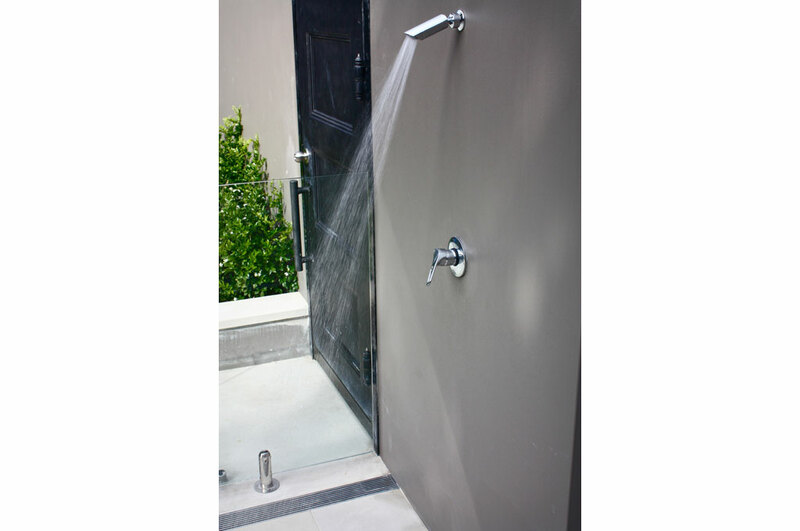 During the full rock excavation, saws were used for precision cutting to minimise vibrations. 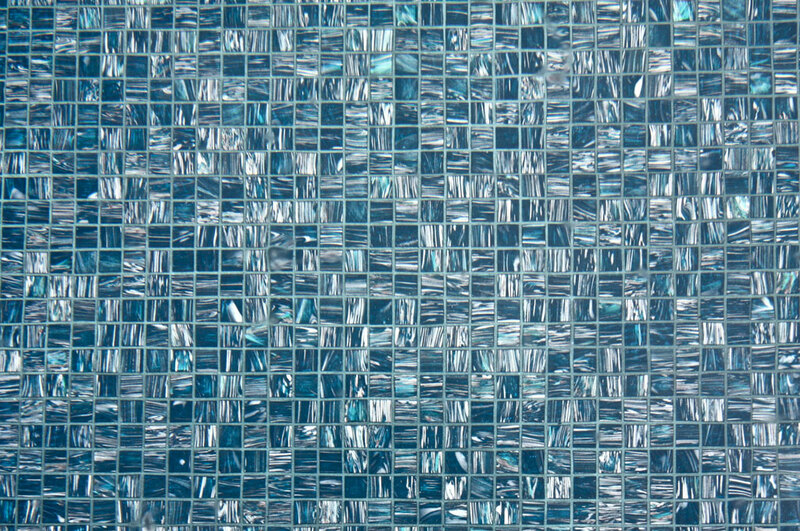 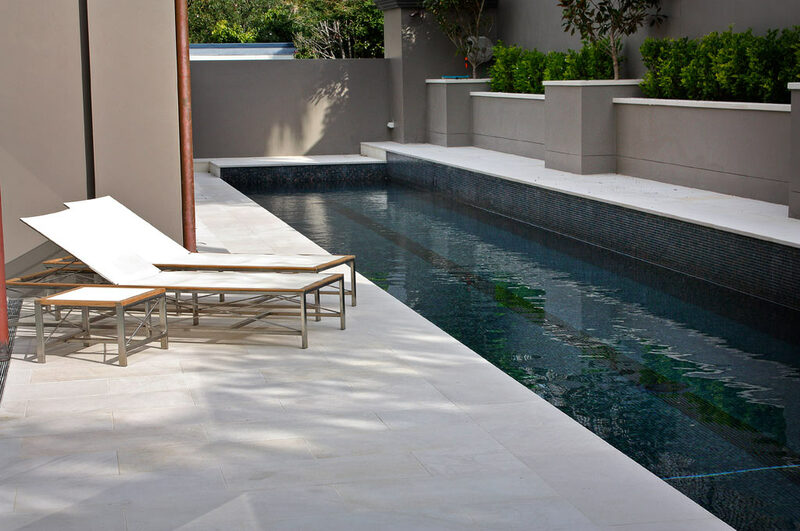 Finished with imported, mottled-green flecked tiles, the pool achieves a beautiful, shimmering effect in sunlight. 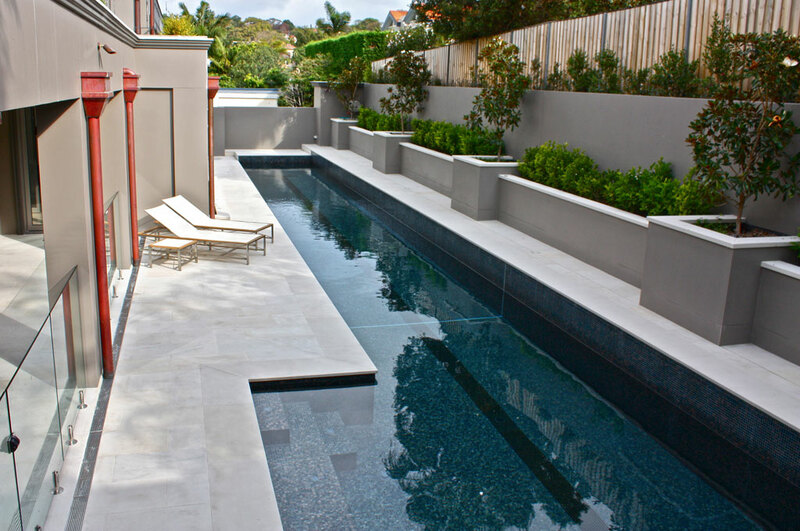 Italian sandstone coping and frameless glass fencing offers the perfect unity of function and style. 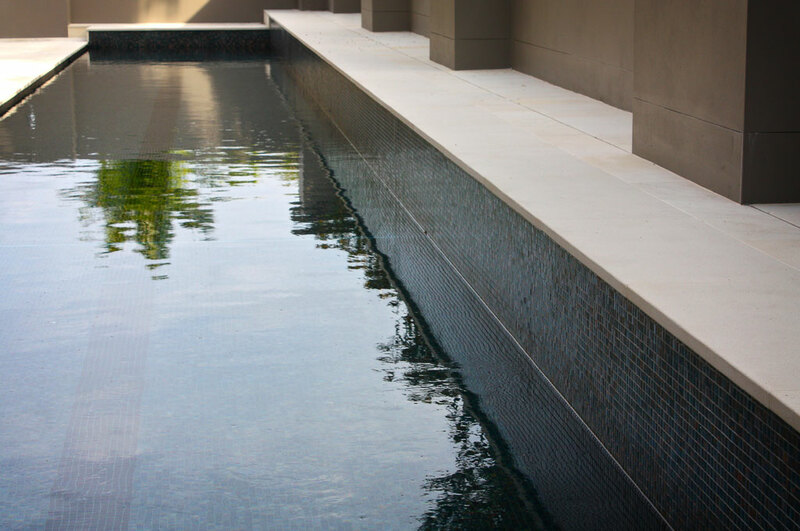 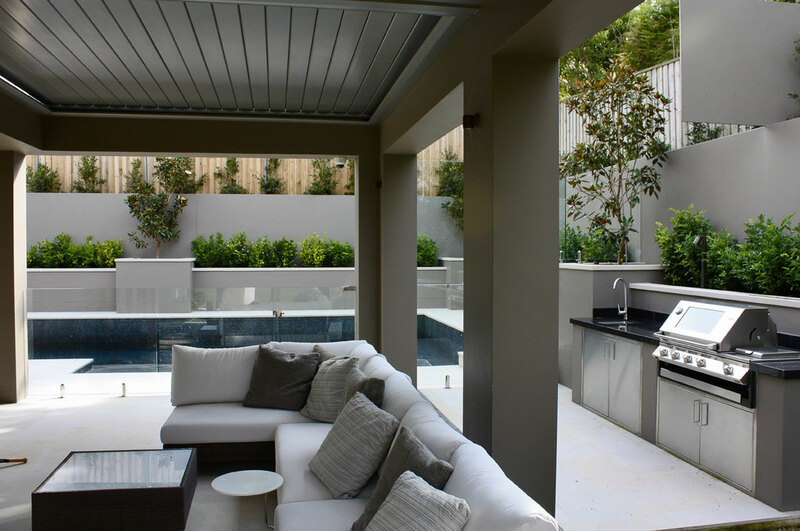 In keeping with the world-class eco-friendly home, the pool is heated with an environmentally passive heat exchanger that uses both solar and boiler unit energy sources for optimum efficiency. 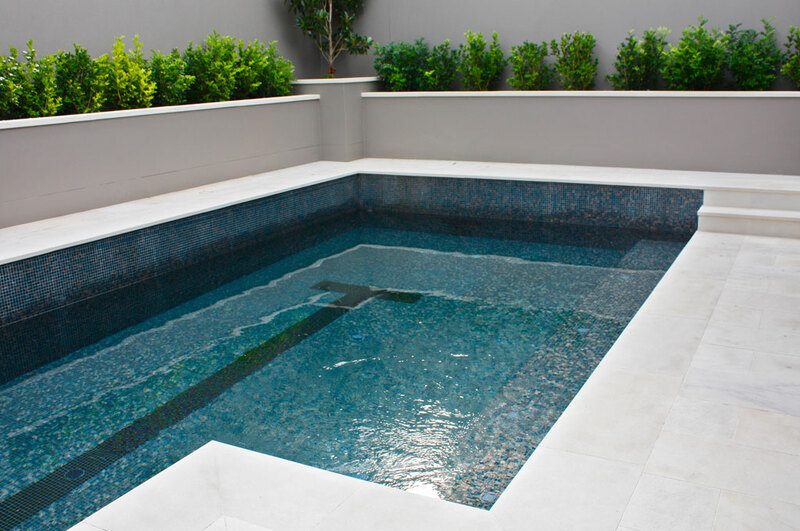 A self-cleaning pool system assists in keeping maintenance to a minimum.